Find a vacation home to rent in Sansepolcro from our list of vacation rental properties. Campaya has over 6 vacation homes available in Sansepolcro, which give you the possibility to locate a unique accommodation in Sansepolcro which completes your check-list in search for the perfect self catering vacation apartments in Sansepolcro or vacation villas in Sansepolcro. About four kilometers from Sansepolcro lies this holiday apartment in a fantastic panoramic position. 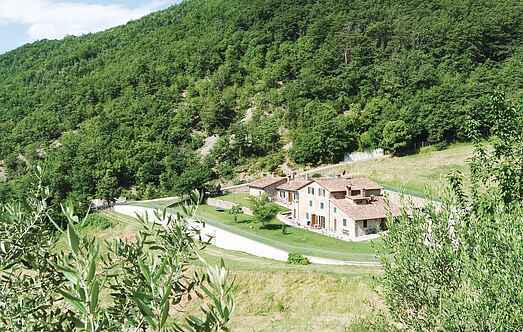 Four kilometers above Sansepolcro lies this holiday home (a semi-detached house) in a fantastic panoramic position. This comfortable house carefully furnished is an annex of a organic products farm approx. 100mt away (see also ITA295-296-369). Four kilometers above Sansepolcro lies this holiday home (semi-detached house) in a fantastic panoramic position. Friendly holiday house with pool, at only 200 m from the Medieval town of Sansepolcro.